Don’t let the rain dampen your spirits. Clear the clouds and put a smile back on everyone’s face with a super Rave Poncho designed to keep you both stylish and dry no matter how much the rain pours down! 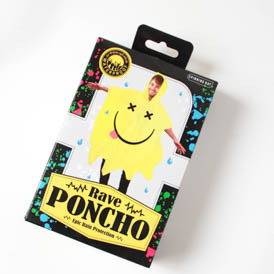 Wave your hands in the air like you just don’t care – about the rain! 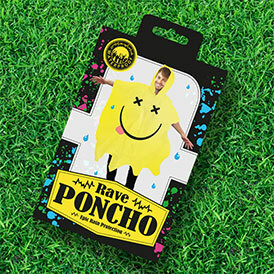 With a waterproof plastic Rave Poncho you can relive the magic of those hot sweaty Madchester nights at the Haçienda – and never get wet! 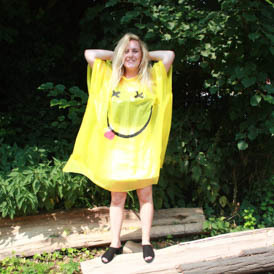 A Rave Poncho makes sure every day is a Happy Monday – no matter what the weather. Sorted.